The Shock Doctor ® Braces Mouthguard is constructed from 100% medical grade silicone for ultimate comfort. The integrated Ortho-Channel fits securely over braces, protecting the mouth from lacerations and provides an instant fit. Instant fit - no boiling or fitting required. Suitable for basketball, football, baseball, rugby, martial arts and other head banging sports. Really happy with the purchase, it's a great quality gum shield that stays in your mouth, great product would recommend buying it if you have braces. 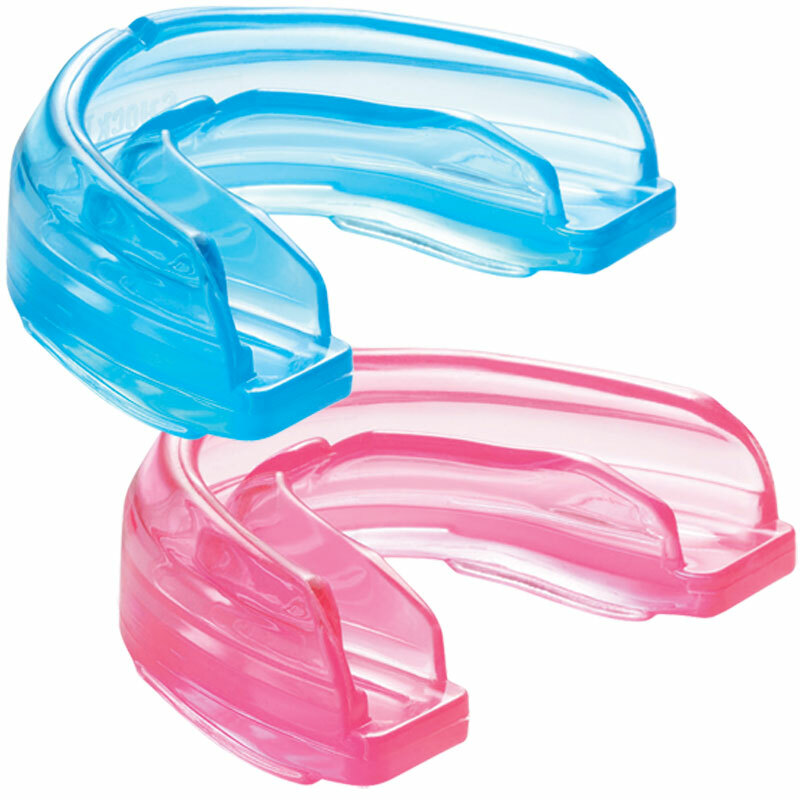 I thought that it were possible to reform the mouthguard - but this is not the case. There is space enough for the bracer, but every time i open my mouth, it keeps falling down - which makes it difficult to breathe. Bought this for my Son for his Rugby. He has had braces fitted top & bottom. He thinks it is the most comfortable mouth guard he has had to date & he is 13. As he has braces top & bottom, I should really have bought him the shock doctor mouth guard specifically designed for this purpose & when I need to replace this, I will go for that instead.